The Coptic church in Egypt is commonly described as “Oriental,” a geographically confusing term. It is grouped with a number of other churches in Africa and the Middle East who share one important characteristic—they are not in communion with the Patriarch of Constantinople. 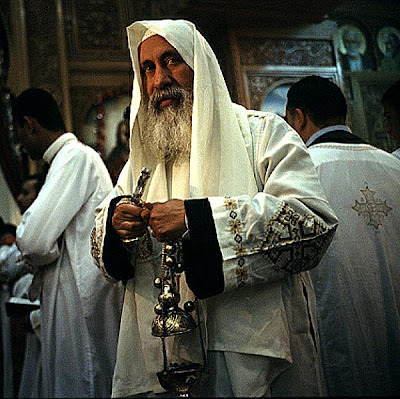 In addition to the Coptic church in Egypt, these include sister churches of the latter—the churches of Ethiopia and Eritrea, and churches resulting from Coptic missionary activities in other African countries, and, very significantly, the Armenian church. There is also a scattering of related churches in Iraq and Syria (some called “Assyrian”). Theologically, all these churches are often called “Monophysite” (literally in Greek, “of one nature”). They don’t like this term. They prefer “Miaphysite” (literally, “of a compound nature”)—both adjectives refer to understandings of the relation between the divinity and the humanity of Christ. The least controversial designation of this ecclesiastical aggregation is “Non-Chalcedonian”—all these churches have rejected the Christological definitions of the Council of Chalcedon. Language is a funny thing. The word "copt" is just Greek for Egypt. Thanks - I didn't know that.